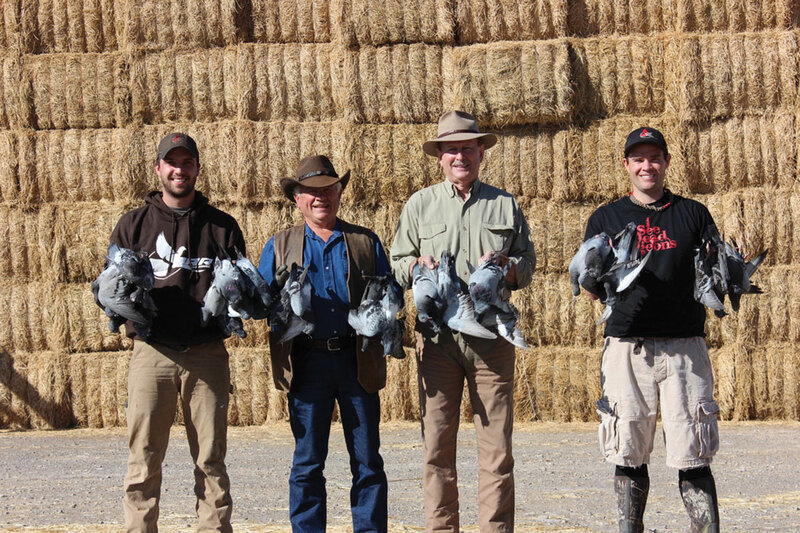 Feral pigeons, Eurasian collared doves and mourning doves (in season) offer high-volume shooting in and around Idaho feedlots. Our morning began at a feedlot where both stationary and mobile pigeon decoys had been set out. We were positioned along a fence in a vacant feeding area, with cattle in adjacent pens providing “cover.” The pigeons, attracted by water and spilled grain, came from all directions and angles—and neither our shooting nor nearby animals and vehicles seemed to bother them. Speed and erratic flying made for difficult targets, and we burned up plenty of ammo. During lulls in the action, guides retrieved downed birds and rearranged them in feeding postures among the decoys. Wind-ruffled feathers made the impromptu decoys look real. Shooting continued nonstop until a field BBQ lunch that included pigeon and dove breasts was presented under a canopy. After a short siesta in the shade, it was off to another feedlot for an afternoon of pass-shooting collared doves. Although pigeons and collared doves can visit the same feedlot, pigeons prefer feedlots near rock-formation roosts while collared doves like feedlots near tree roosts. Unlike the pigeons, the doves did not have to be decoyed, as they swarmed from the fields to the food. The shooting was like that in Argentina, with thousands of birds flying in every direction and no need for the Guns to hide. We loaded and shot as fast as we could, with the guides even offering to load, if desired. Feral pigeons, descendants of European rock pigeons, are the largest, most common and most invasive of our dove species. The slightly smaller Eurasian collared doves first showed up in Florida (courtesy of European birds that had been released in the Bahamas) in the early 1980s and now reportedly are the fastest-colonizing birds in the US. Each day a single bird can consume nearly its body weight in grain, and huge flocks can damage property with excrement. Understandably, feedlot operators often welcome non-poisonous bird eradication by outfits like Soar No More. 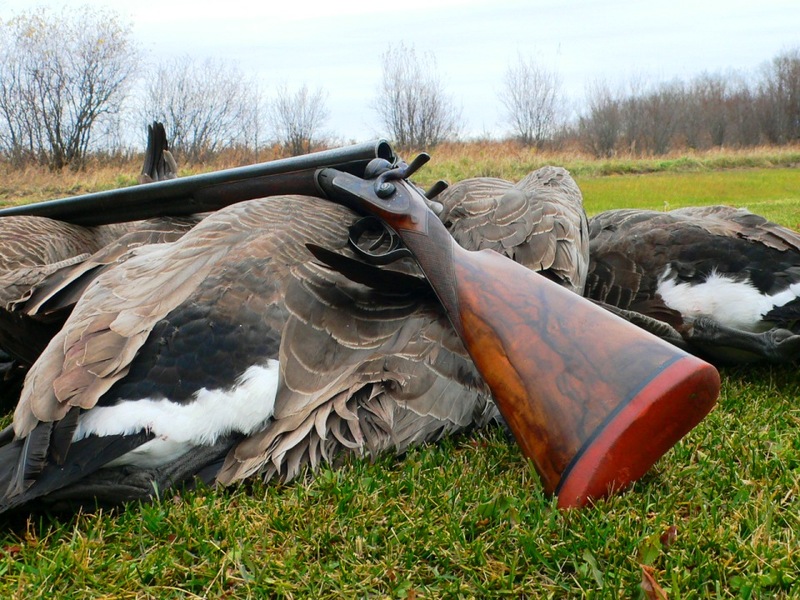 Assuming adequate shooting skills, a typical bag for a group of four Guns averages 350 to 400 birds per day. Pigeons and doves are considered a delicacy, and local agricultural workers usually claim harvested birds. Soar No More will process birds for shooters who wish to take some home. Soar No More offers single and multi-day “all frills” (transportation, meals, housing, ammo and hunting licenses included) shoots. Any gun or shot size can be used, but company owners Brooks Haden and Neal Hunt favor 28-gauges and 1-ounce loads of No. 6 lead. Custom 28-gauge ammunition with fiber wads is available for the CZ over/unders that clients are welcome to borrow. For more information, contact Soar No More.